Hire a Commitments tribute band from UK Live Entertainment, and you can be sure that you will be hiring a professional and experienced tribute artist. Every tribute we support has been tried and tested and has a well-proven track record for delivering quality entertainment and professionalism both on and off stage. Enjoy browsing our roster of Commitments tribute band choices. Hire a Commitments tribute band from UK Live Entertainment, and you can be certain that you are hiring one of the best available bands, from a trusted and reliable agency, with more than 35 years of live entertainment booking experience! We hand-select all of our acts and bands to be certain that our customers have an excellent choice and are always 100% satisfied. No matter what type of event you are organising, whether it be an outdoor summer festival, a party or if you are sourcing the right band for your wedding celebration, we can suggest a choice of Commitments tribute bands for you to review, and everyone will be of the very best quality and will be guaranteed to present a thoroughly professional show performance that will ‘wow’ your guests and leave everybody thoroughly entertained. We support our customers with a totally free personal consultancy service to assist you to choose the perfect band or act to suit your occasion or event, and we have a fabulous selection of first-class, experienced and professional tribute acts and bands that will suit most requirements. All of our Commitments tributes supply their own sound and lighting equipment, which will usually be suitable for average venue event rooms. Should the event room be particularly large, then additional equipment can always be hired in for a small extra charge. Our Commitments tribute bands have performed at all types of events and venues, both indoor and outdoors and for all sizes of audiences too, from the very large to the very small. Regardless of where they perform, or the size of the audience, or the location, you can be certain that all of our bands are professional entertainers and will be able to alter their show presentations to suit the venue or event perfectly and to be sure that they entertain your audience or guests thoroughly. The Commitments music is the ultimate, universally appealing band music, and their songs are so well known all around the world, enabling our tributes to entertain audiences of all nationalities. 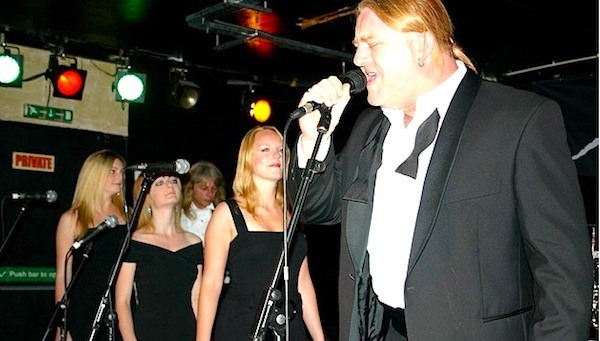 Hire a Commitments tribute band for your event and watch as your guests sing and dance to the melodies of their brilliant, timeless and magical songs. We guarantee that your audience will love the band you choose from our carefully selected roster and that they will be sure to leave your event with lasting memories of a thoroughly entertaining evening of classic R&B Blues. Film producers Roger Randall-Cutler and Lynda Myles, who commissioned Doyle to pen an adaptation and script for the film, purchased the film rights in 1987. Beacon Communications produced the film in 1989 and filming took 53 days and cost a total of USD 12 million, the majority of filming took place in locations and around Dublin. The acting talent employed were largely local Dublin unknown’s, and were chosen more for their musical abilities and singing skills and qualities; and for their physical likeness to Doyle’s descriptions of the fictional book characters, rather than for their acting skills, which were developed during production. The film was released to fairly positive reviews and grossed almost USD 15 million in North America. Awards and nominations bestowed on the film and production, included an Academy Awards nomination for Best Film Editing, a Golden Globe Award nomination for Best Motion Picture – Musical or Comedy and the film and its cast also won six BAFTA Awards including Best Direction and Best Film as well as the Best Soundtrack Award bestowed by the 1992 BRIT Awards and three awards from the 12thLondon Film Critics Awards for Best Producer of the Year, Best Director of the Year and British or Irish Screenwriter of the Year. Although the film was only modestly successful in North America it has since gone on to enjoy cult film status and has been developed into a hugely successful stage production. Browse our selection of first-class Commitments tribute bands and acts, feel free to ask any questions you may have via the Live Chat facility, or give us a quick call for a chat about your event. We are always pleased to hear from customers and are here to help. Special requests for particular Commitments songs can be accommodated if asked for in advance. Hire the Commitments tribute band of your choice from UK Live Entertainment, the UK’s most trusted tribute act agency and live entertainment provider, we guarantee that you will be totally satisfied with the entertainment you hire from us.